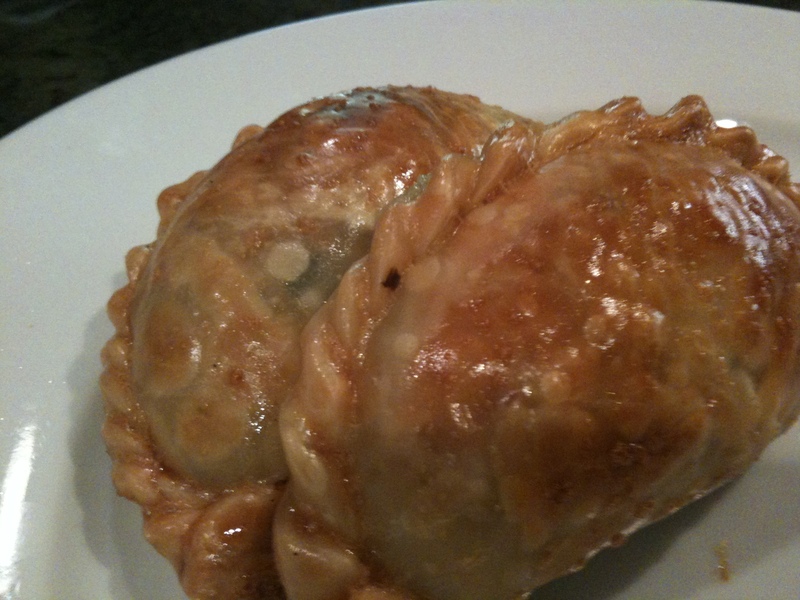 I LOVE empanadas. They are a great party food and the possibilities of fillings are endless. Not too long ago I discovered how easy they are to make and now I love experimenting with different types of fillings. 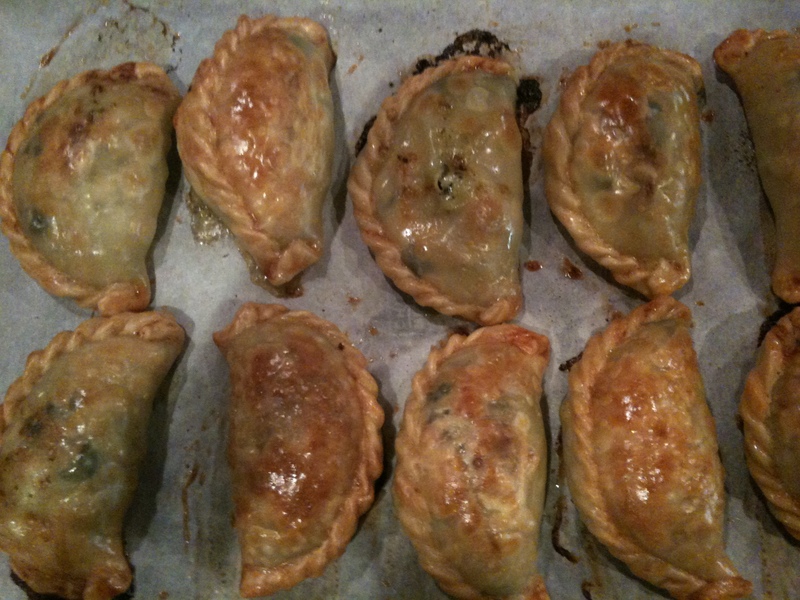 Last night I was craving one of my famous margaritas (well…famous amongst my friends anyway) and thought a batch of empanadas would be the perfect compliment. A good “Thank God It’s Friday” kind of dinner. I decided to go with a Mexican-ish filling to compliment the Margaritas (the margs will have to be another post!). These have shredded chicken in a creamy sauce made with roasted green chilies, shredded jack cheese, and some black olives. They were DELISH! We just polished off a few for breakfast and I think they tasted even better than they did last night. They are all in Spanish so it took me a while to figure out which ones to buy! These are “para Horno” or “for the oven” (verses the kind that are for deep frying). You buy them frozen so I just stock up on a few packs and keep them around for when I’m in the mood to make them. 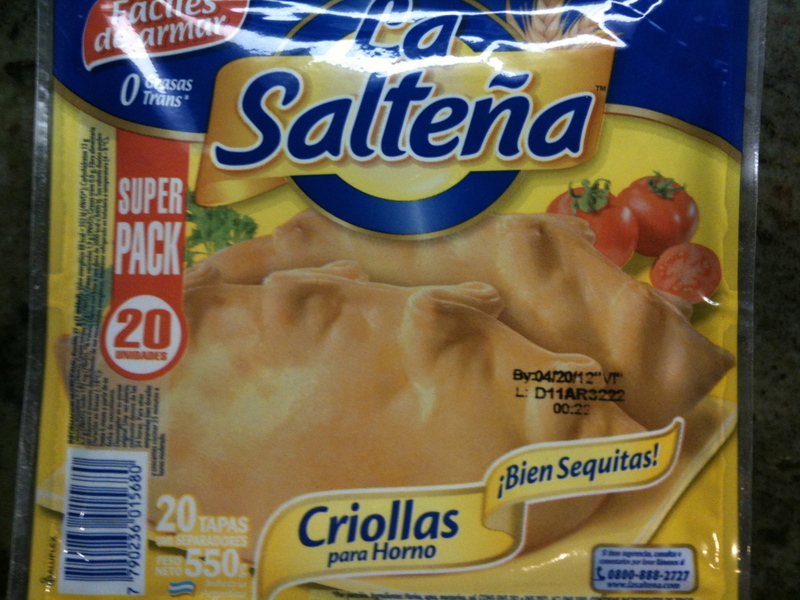 If you can’t find empanada wrappers you could use puff pastry but it’s not quite the same. Some day I will conquer my fear of pastry and make them from scratch, but for now…I’m sticking with these. For the chicken I poached 2 boneless skinless breasts. I prefer to use bone-in breasts but could not find organic ones (I just watched Food Inc. the other night and have pretty much sworn off non-organic chicken). For the chilies I roasted a few Anaheim chilies (these are a really mild green chili) but to save time you can use a can of Ortega green chilies. If you use canned, buy the ones with the whole chili so you can take the seeds out. The diced have the seeds all mixed in. To roast them yourself just put your oven rack close to the broiler and broil then until they they blister and blacken all over then you put them in a covered bowl or wrap in foil to steam a bit. Once they have cooled you can remove the skins easily and take the seeds out. I kept these mild for the kids, but if you want them spicy feel free to add more jalapeno or serrano for some added heat. 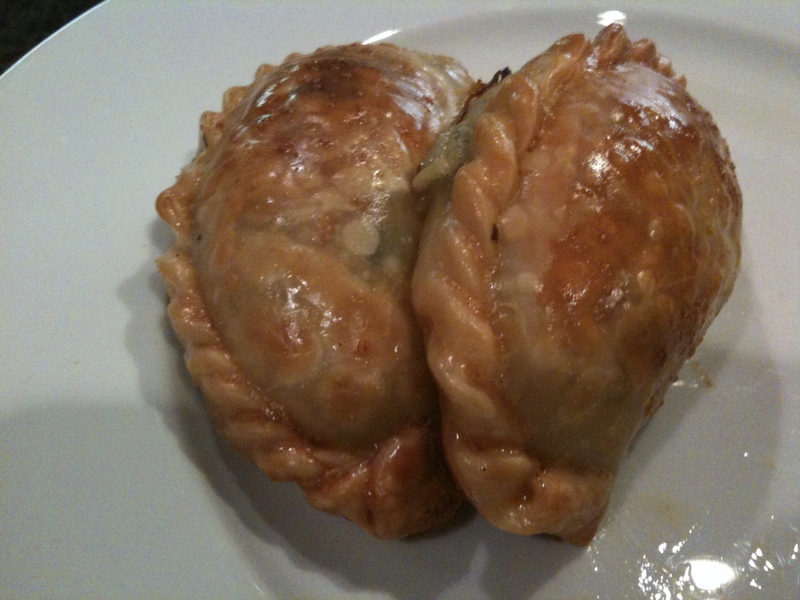 The filling for these empanadas would make a great filling for enchiladas! I served these with some sour cream and a really simple and yummy green salsa that I made and will post soon. We also had beans and rice on the side to round out the meal. In a food processor or blender, blend the roasted chilies, jalapeno, cilantro, green Tabasco, cream cheese and sour cream until smooth and creamy. In a medium frying pan, saute the onion in some olive oil until softened, about 10 minutes. 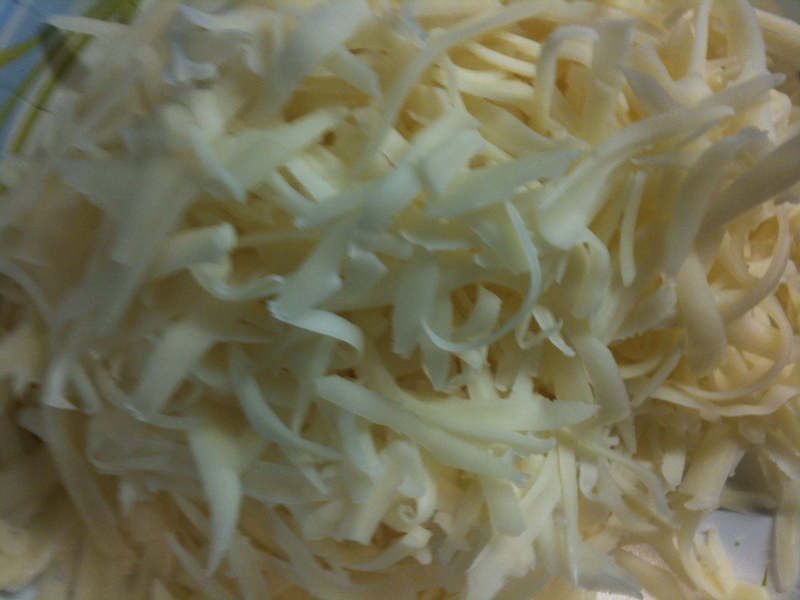 Add the minced garlic and cook another couple of minutes. Add the flour and stir well to coat the onion and garlic. Add the chicken stock, mix well and bring to a simmer and cook for about 5 minutes to thicken. 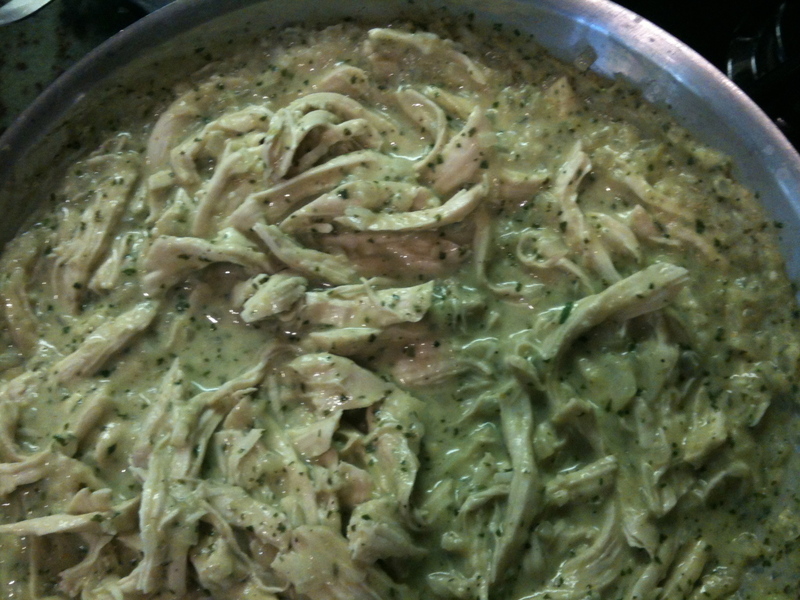 Add the shredded chicken and creamy chili mixture to the onions and stir well to combine. Salt and pepper to taste and turn off the heat. Don’t be shy with the salt…you need at least a teaspoon, just add and taste to get it just right. 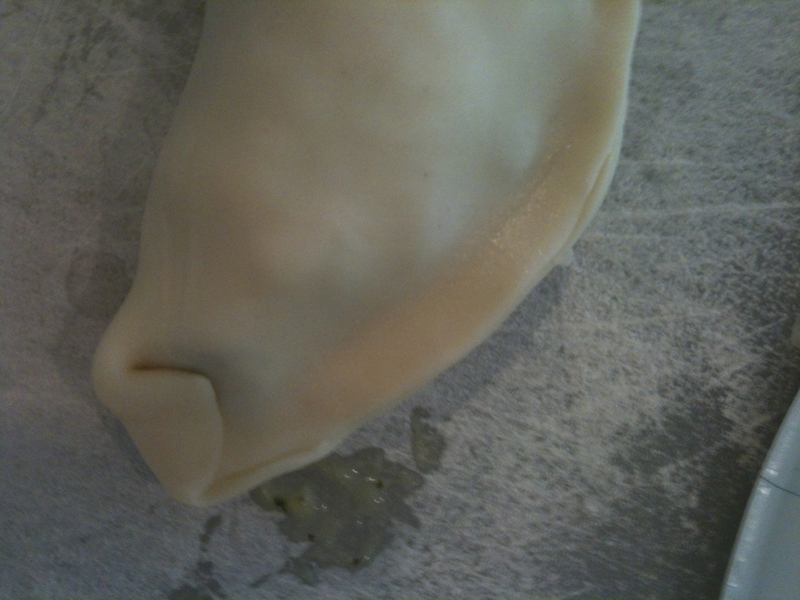 Let the chicken mixture cool a while and set up your empanada making station. This would be fun to do with friends! You need a lightly floured cutting board to assemble them. 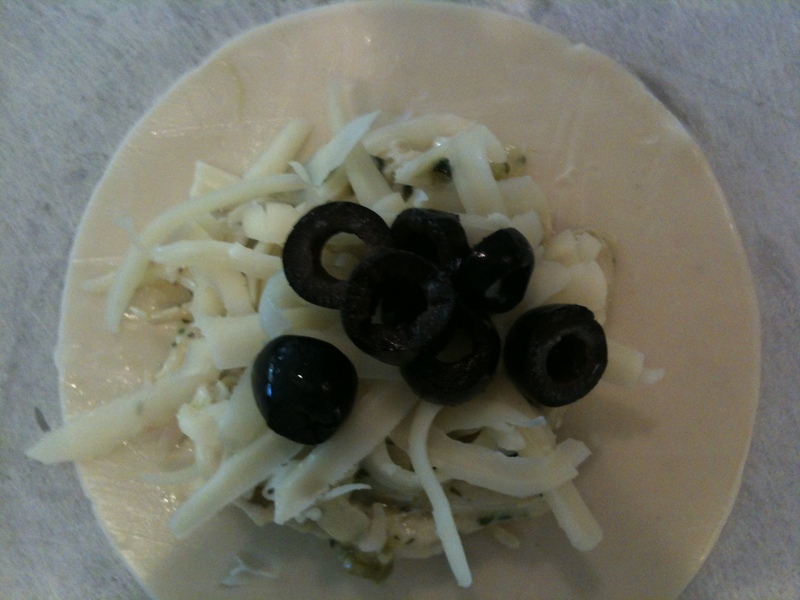 Lay out a couple of shells, put a spoon full of the chicken in the center, add a little cheese and a few olives and fold in half. You can either do the traditional pinch and fold method or the fork press method to close. I love the way the look with the pinch/fold closure. Be careful not to over stuff. Put them on a cookie sheet covered in parchment paper and brush with the beaten egg. Bake for about 30 minutes or until golden brown. Give them a while to cool and serve! Yum!! But I can’t possibly attempt to make them until I get the sauce recipe!